Oh, you're in for a treat today. 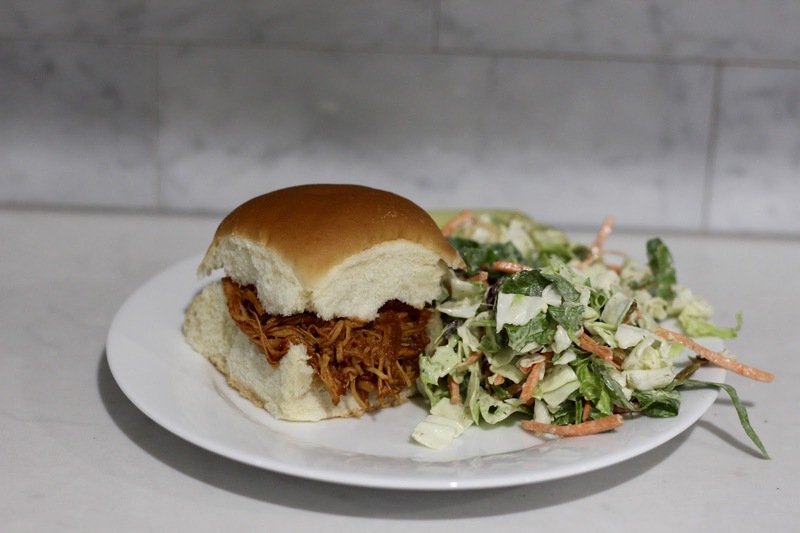 When fall rolls around my slow cooker becomes a weekly occurrence. Yesterday's dinner plans quickly changed when I realized I had to show up for jury duty. To top it off the process took longer than expected and, yes, I was pick as a juror! Anyway, during our hour lunch break I ran home and threw together a quick slow cooker dish. Hey there was no way I was going to want and cook after jury duty. I knew I would be exhausted and have to catch up on work, blog, life, etc. Luckily I worked out at 6 a.m.
After a quick survey I decided on Pulled Barbecue Chicken Sandwiches. And no it's not just BBQ sauce and chicken in a slow cooker. People PLEASE don't do that. I have a much tastier and healthier way thanks to Against All Grain. Place all ingredients in a slow cooker and cook on high for 3 hours. Remove chicken and shred using two forks. 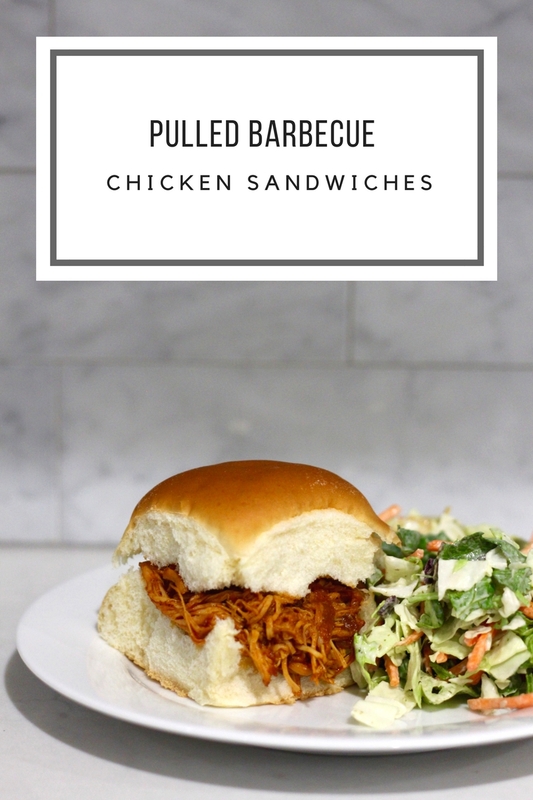 Return chicken to slow cooker and continue cooking for 1 hour. Meanwhile make sides and/or buns. If I don't have time I use mini rolls. Major pro tip, new product alert or whatever you want to call it, but I need to call attention to one of the ingredients, Hunt's Recipe Ready "Pre-measure 2TBS" Paste Pouches. Yes, you read that correctly - pre-measured pouches. All our dreams have been answered. I don't know about you, but I've thrown away so many half used cans of tomato paste over the years. Whelp, moving forward we won't be wasting tomato paste in our house because these pouches are recipe ready! Stock up on a few boxes the next time you're at Walmart. 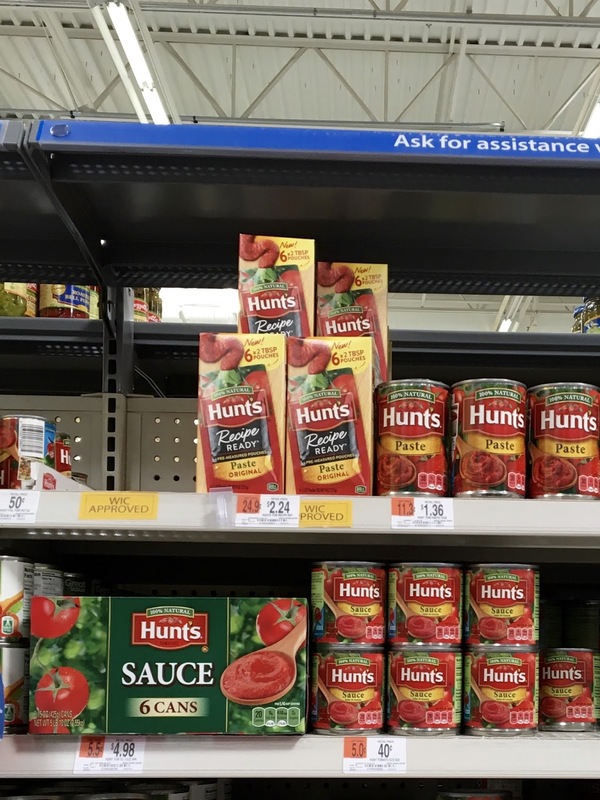 Trust me, these Hunt's Recipe Ready "Pre-measure 2TBS" Paste Pouches will make life and cooking clean up easy peasy. One more shot for you!